Legacy of Discord Now Available in Canada! 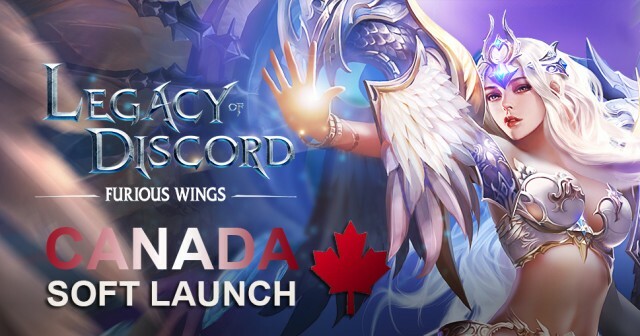 GTArcade is excited to announce the limited launch of our latest mobile game, Legacy of Discord - Furious Wings, in Canada! Eager gamers across Canada can now download and play one of this year’s most anticipated action MMORPG’s! Experience the epic action RPG game right now! What is Legacy of Discord - Furious Wings? 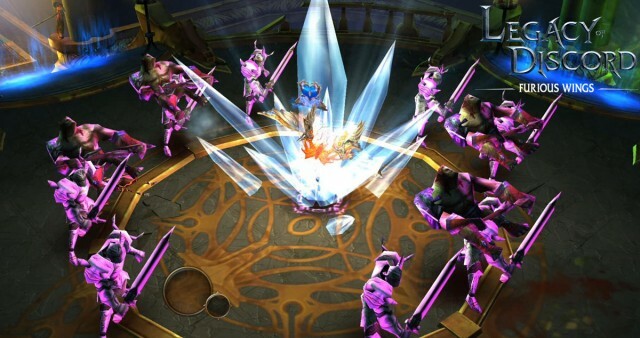 Legacy of Discord is a next-gen 3D action MMORPG for mobile that is completely free to play. Experience intense real-time combat as you hack, slash, and blast your way through a vast world of magic and mayhem! Party with friends to raid treacherous Dungeons or clash for dominance in the PvP Arena and large-scale Battlegrounds. Progress through the epic story and transform your character from a fledging novice to an unstoppable God of War! As players in Canada get their hands on Legacy of Discord, the Official Global Launch is fast approaching. Take part in the pre-launch events and pre-register on GTArcade today to enjoy bonus gifts when the global launch hits! The more players that participate, the greater the rewards for everyone!